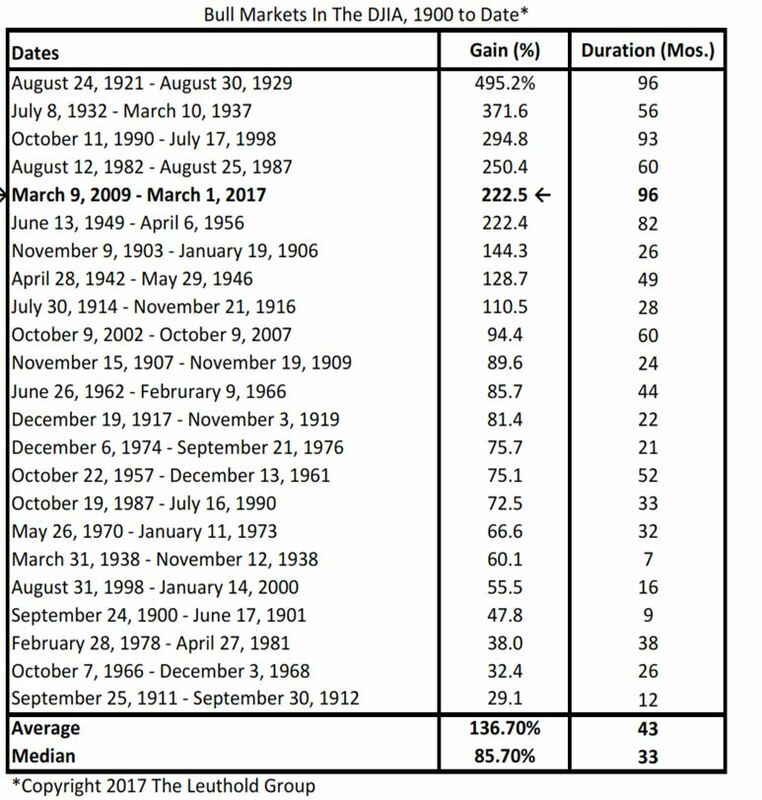 The current 8 year bull market is now tied for the longest cyclical bull market using data going back to the early 1900’s. The Dow Jones Industrial Average (DJIA) has been in a bull market for 96 months. The only other bull market to last 96 months was in the 1920’s. Although it is the longest bull market in terms of length, it ranks only 5th of the 23 bull markets returning 222.5%, while the largest gain was the 1920’s bull market returning nearly 500%. During this bull market, there have been 7 corrections of at least 5% and 4 corrections of at least 10% as referenced in the chart at the bottom of the page. There is an old saying that bull markets do not die of old age. What does this mean? Simply put, the cause of the end of a bull market is not longevity. Who knows when the current bull market will end? We always say, what the markets do in the short term is not knowable. That is why our investment discipline sets a customized target investment blend based on your time horizon and risk tolerance and we rebalance back to it as markets move.